The 2K to 10K betting challenge continues on Saturday at Newmarket . The betting bankroll stands at £2178 (+£178) after disappointing month in September with £303 loss.0 out 6,with just three places. Hopefull we can get back on track in October.Moving on to Saturday going concentrate on the feature race from Newmarket . 10 Runners declared for group one Sun Chariot stakes.This looks high quality mile contest for Fillies & Mares.The three main contenders are Laurens,Veracious & Wind Chimes . LAURENS : 3-Y-0 Bay Filly,winning 6 out 9.Very useful sort,winning four G1 races,also finished second in 1000 guineas over C&D at Newmarket in May.Produced career best effort last time in Ireland,winning the G1 Matron Stakes at Leopardstown on Irish Champions weekend.Obvious claims . VERACIOUS : 3-Y-0 Bay Filly ,winning 2 out 5 .Lightly raced sort ,twice finishing third in group one company at Royal Ascot & Glorious Goodwood earlier in the season .Made no mistake when dropped in class when winning the G3 Atlanta Stakes at Sandown .No easy task returning to group one company ,though looks open to improvement after five starts . WIND CHIMES :3-Y-0 French Bay Filly ,winning 3 out 7 .Shown progressive form this season ,including winning G3 in good style at Deauville in August .Also finished good second in G1 Prix De Moulin at Longchamp ,behind the useful Recoletos .Top rated on official ratings,should go well . 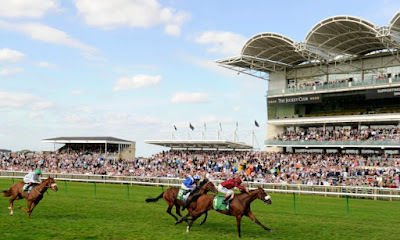 VERDICT : LAURENS looks the class act here ,having already won four group one races.Also goes well here at Newmarket winning the fillies mile over C&D last season .Should take plenty catching from decent draw near stands rail in stall 9.Odds around 3-1 look solid value . Wind Chimes is 4lb clear on official ratings ,after finishing excellent second in Prix De Moulin at Longchamp last time .Looks interesting contender ,though odds around 5-2 look short enough ,for horse has yet to win in group one company .